Florida Statute 893.13(7)(a)(8) prohibits a patient from doctor shopping in order to obtain a controlled substance from a doctor. The law requires that if the patient received a prescription for the same drug within the last 30 days they must inform the doctor of that. This is a new area of the law and there may be many legal challenges based on a patient’s privacy interests. Currently law-enforcement has the ability without a warrant to view patient information regarding the filling of prescriptions. Currently doctors are obligated to go against the patient-physician rule of confidentiality and report patients who they believe came to their office to engage in doctor shopping. 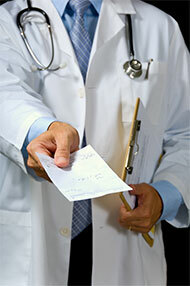 Contact Ray Lopez for an evaluation of your Doctor Shopping charge. Mr. Lopez will critically analyze the State’s evidence to be certain that the State can prove that you were purposely withholding information about prescription drugs from your doctor. Mr. Lopez will make certain that your patient confidentiality rights were not violated. Mr. Lopez, if necessary, will have you evaluated not by the court system but by a reputed drug counselor who can recommend treatment which make keep you out of prison or jail. As a former State Prosecutor and Tampa Police Department lawyer Ray Lopez is uniquely qualified to protect your constitutional rights and fight for your freedom. Drug charges can carry minimum mandatory prison sentences depending on the amount involved. It is important that you select an attorney who understands the way the police think.